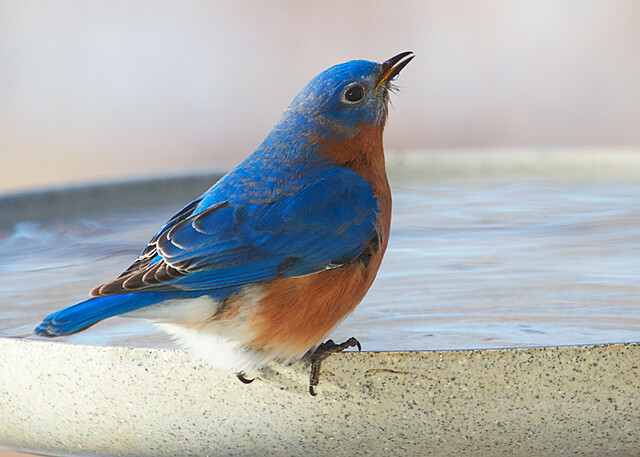 Bluebirds, like most birds, have to take the water in their beaks and then tilt their heads up to let the water run down their throats. 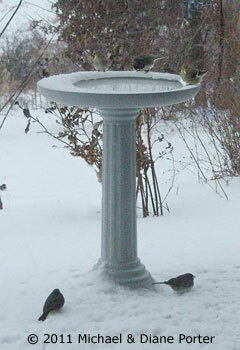 Like this slurpin' male bluebird at my Kozy Spa birdbath this morning. Bluebirds love it. The photos above were taken at Birdwatching Dot Com.